Sapporo Snow Festival in Sapporo, Hokkaido is held for about a week in early Feb. These are photos of the 61st Sapporo Snow Festival held during Feb. 5-11, 2010. 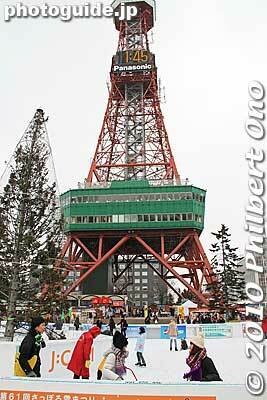 The main festival site is at Odori Park anchored on the east end by Sapporo TV Tower. I started exploring this site from here.